We often think of video games and virtual environments as a way for youth to escape reality— what about using them as a tool to understand youth more fully? Roberta Woodgate is doing just that, using innovative tools to capture the voices of those who often go unheard. She developed a therapeutic tool called EMÜD Universe, a computer video game/virtual environment that may be used for children to assess and manage their feelings. Dr. Woodgate’s research focuses on children and youth living with chronic physical and mental illness, children and youth living with disabilities and complex health needs, and promoting health and access to health care for children and youth. In addition to video games, she also uses photovoice and ecomaps to ensure the voices of children and youth are accurately represented. Photovoice involves a photographer taking pictures that can then be used, usually with captions composed by the photographer, to bring realities to policy makers in order to motivate change. An ecomap is a diagram that shows the social and personal relationships of an individual with his or her environment. 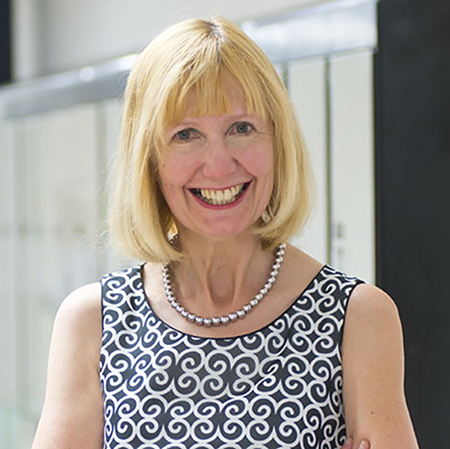 Dr. Woodgate is the Canadian Institutes of Health Research (CIHR) Applied Chair in Reproductive, Child and Youth Health Services and Policy Research. She is a nursing professor at the University of Manitoba and holds an appointment in the faculty of medicine for the department of pediatrics and child health and serves as a research scientist with the Children’s Hospital Research Institute of Manitoba. She will present the Arnie and Norma McAllister Lecture in Compassionate Care, hosted by the University of New Brunswick’s faculty of nursing on Thursday, May 5 at 7 p.m. in MacLaggan Hall room 105, on UNB’s Fredericton campus. Her talk, “Improving the lives of children with complex care needs and their families: what we need to know”, will discuss the impact of home care on families by providing a brief overview of home care in Canada and discussing findings specific to her study on families of children with complex care needs. Dr. Woodgate’s research program IN•GAUGE represents her dynamic approach to involve children, youth and families and interact with clinicians, caregivers, researchers and decision-makers in the research process, and to be innovative in the exchange of knowledge. IN•GAUGE acknowledges the significance of multiple perspectives and the value of gauging the health needs of young people and their families in order to generate new knowledge. IN•GAUGE emphasizes accessible knowledge collection and exchange and the design of practical health care interventions. This approach will help improve access and quality of care for children, youth and their families in Canada. The Arnie and Norma Lecture in Compassionate Care was established by family last year with a desire to support nursing education and create more general awareness about human caring. Aimed at both nursing students and experienced practitioners, the lecture will form the basis of dialogue about and ongoing examination of how compassionate care— patient-centred care— can be brought to the forefront of the healthcare system, especially in institutional settings where the culture of caring often needs to be dramatically improved. This is a free public lecture, all are welcome.